Takes a lot to rattle Jordan Peterson but the ’12 Rules for Life’ international speaker was visibly shaken after a young man stormed the stage at a Christian conference last week. 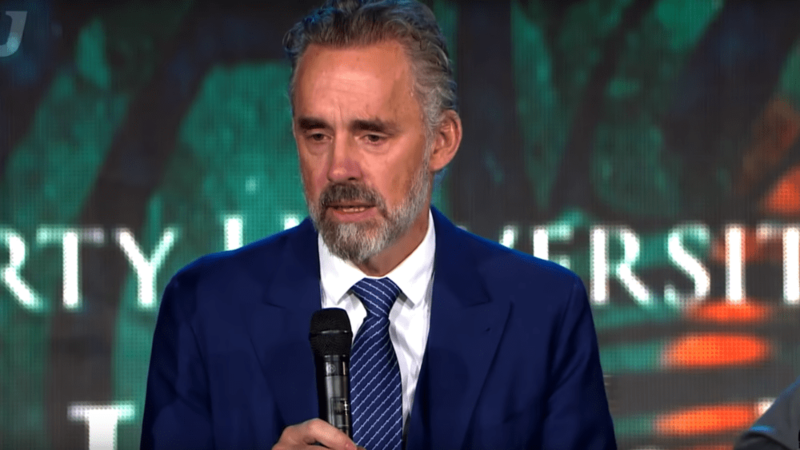 Peterson was the featured guest at last Friday’s Liberty University Convocation, a weekly gathering of the 13,000 students and staff at the large conservative Christian university in Virginia, USA. About 21 minutes into Peterson’s on-stage interview by Liberty faculty, a man identified as “David” climbed on to the stage. Should Christians heed Jordan Peterson? As stage crew and some of the interviewers – including David Nasser (Senior Vice President for Spiritual Development) – head across to “David”, so too does Peterson. What followed drew a stark contrast between where Christians seek help and Peterson’s ‘self-help’ instructions (as Eternity reported on last month after Peterson’s Australian speaking tour). “I want to know him better,” David is heard to say as people surround him. While it is hard to make out, David appears to say “God” is whom he wants to know better. He does. “Father, we thank you for David … Stop. Stop. Stop pulling him,” Nasser breaks his prayer to, apparently, tell security guards to back off [at this point, the handheld footage only captures the floor]. “We pray for healing for [David],” continues Nasser, laying hands on the young man who wails audibly. David Nasser alludes to a missing element in the teachings and philosophies Peterson espouses. The interview resumes soon after. David is no longer on the stage and Peterson is teary and evidently shocked. While he is only able to manage a few offhanded remarks, Nasser is more composed and describes what’s just happened as the visible “cry for help” which so many in the audience themselves wish to make. 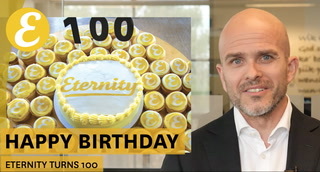 As Nasser keeps patting Peterson’s arm supportively, he alludes to a missing element in the teachings and philosophies Peterson espouses. Peterson is no Christian, despite being seen as a hero by conservative Christians who admire his stance against political correctness. Peterson also upholds the Bible and key figures within it – such as Jesus – as models for moral guidance and personal responsibility. Nasser was making the point that for all Peterson’s psychological insights – based largely on the work of Carl Gustav Jung, the influential Swiss psychiatrist and psychoanalyst – the comfort of prayer to God reaches much further in this instance. According to Nasser’s introduction, Peterson was the university’s “the most requested speaker this semester”.